The Frey 2 USB Cable is the perfect solution for hifi audio enthusiasts integrating computer audio into their sound systems when using components that require USB C connectors. This cable uses solid core, silver-plated 99.99999% OFC signal conductors. The use of solid core conductors eliminates the negative effects of strand interaction and skin effect. Each conductor is precision wound to correspond accurately with USB’s unique, hybrid twisted pair/non twisted pair geometry. 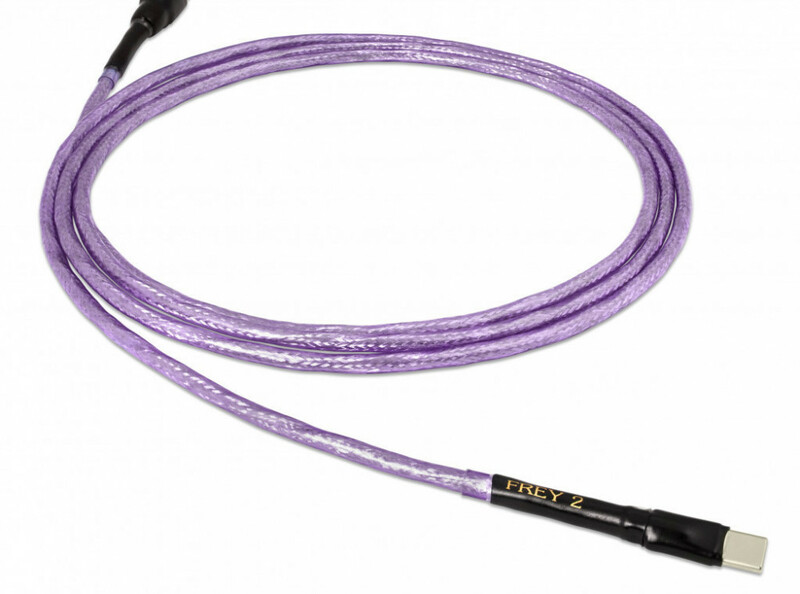 The Frey 2 cable utilizes Nordost’s proprietary FEP Micro Mono-Filament technology, which lowers the capacitance of the cable, both increasing signal speed and bandwidth. The conductors are then shielded with a dual layer of braid and foil shielding to eliminate EMI and RFI, and even comply with 3.0 standards. Before being terminated, these cables are cut to mechanically tuned lengths, which reduce internal microphonics and high-frequency impedance resonance. The Frey 2 USB Cable ensures that your system will achieve the superb sound staging, wide dynamic range, and precise timing you have been looking for in computer audio.